I often get a huge urge to begin last minute gifts at the start of December. Has the same thing ever happened to you? Obviously it’s not a good time to start a sweater or a complex shawl but there is still lots of time to knit up some wonderful accessory gifts. I’ve been taking a look around at some different accessories that I think would work really nicely with Nua yarn which should be just the ticket to get some last minute gift knitting done! 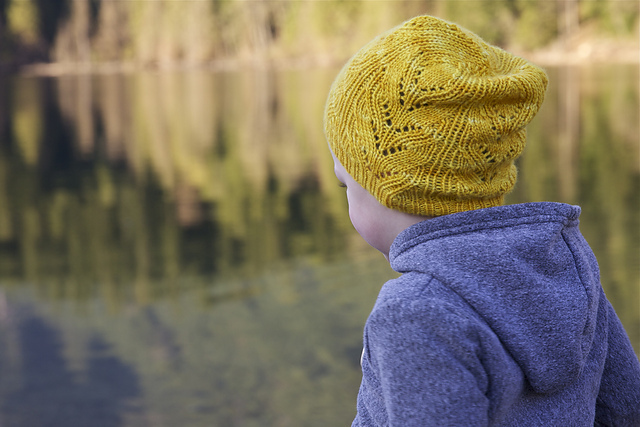 First up lets take a look at some hat ideas in sport weight yarn. 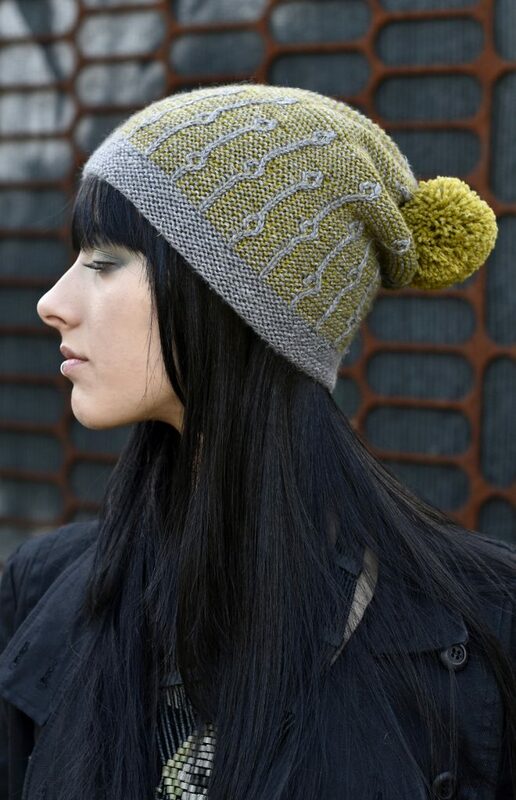 Woolly Wormhead is such an inventive, creative designer and the design she did for Nua yarn, Joyce, is a great option for last minute hats. It uses 2 colours (Kitten Fluff and Frog on the Wall). 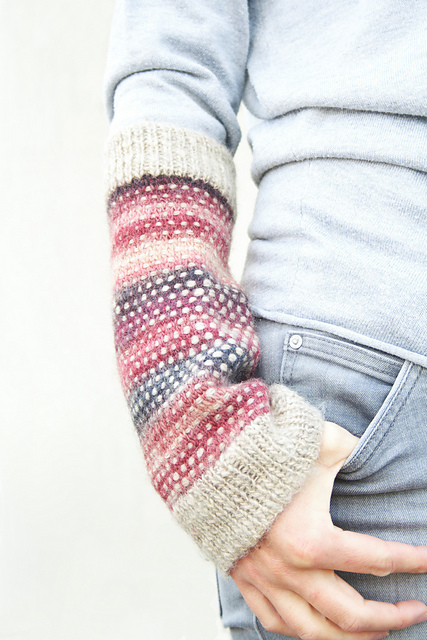 The two colours are combined using a background of garter stitch that has a graphic slip stitch pattern running up through it. 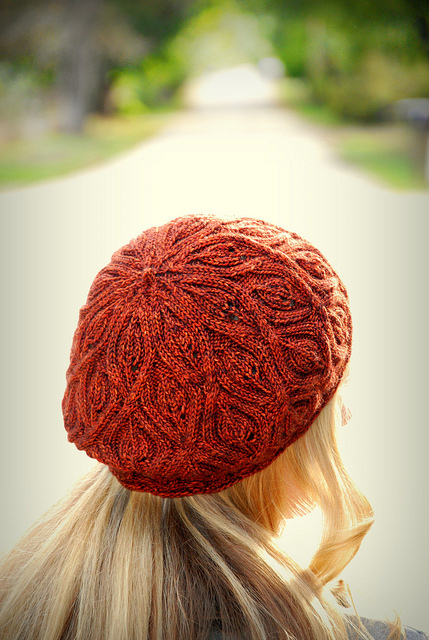 If you enjoy delicate cables and beret style hats then take a look at Alana Dados pattern Autumn Vine Beret. I think these cables would look delicious in Nua yarn! Now that our head are warm and cosy lets move on to the neck. One of my favourite accessories is the cowl. It’s just the perfect addition to any winter wardrobe to keep your neck warm. As an added bonus its very fast to knit as there is no shaping, just knitting in rounds. First up we have Star Athena‘s Camptown Races. I love colourwork cowl, they are so thick, squishy and warm that you never want to take them off. 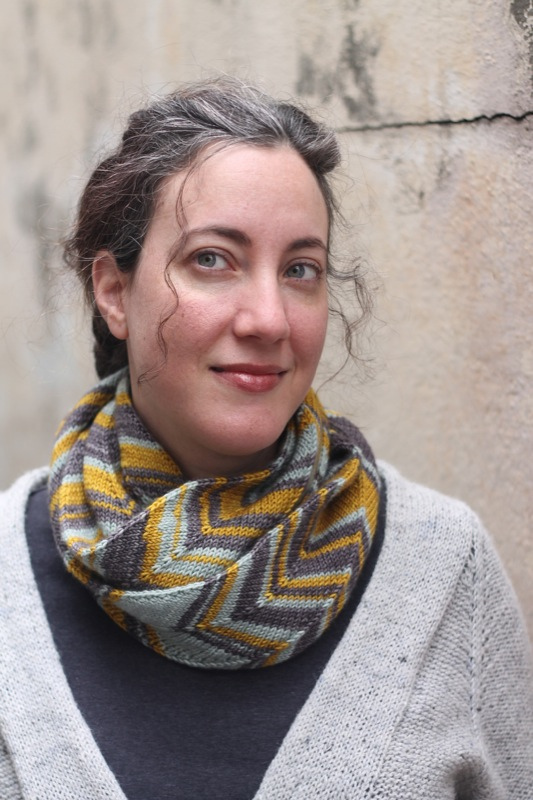 Jill Zielinski‘s cowl, Mojave, is a great example of colourwork in action. It uses 4 different colours; a main colour and 3 contrast colours. 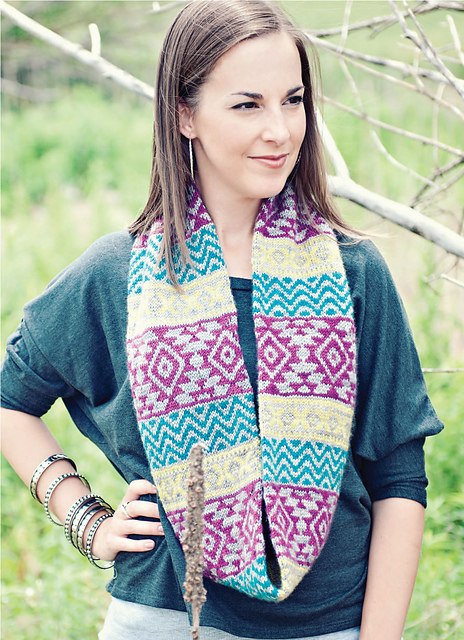 It also comes in 2 different sizes; smaller cowl or longer infinity scarf (or a cowl that you double over). I usually go for the infinity length as I prefer to wear my cowls doubled over for maximum warmth! Lets not neglect out hands in this gift giving! I think that Jane Huck‘s Dotlets Cuffs. These are so much fun and would make a wonderful gift. If you used Kitten Fluff or Bare Necessities as the MC and then just a sampling of a few different colour for the dots it would be beautiful. Plus Jane tells me that the will be free for her advent giveaway on the 1st of December so go grab them! 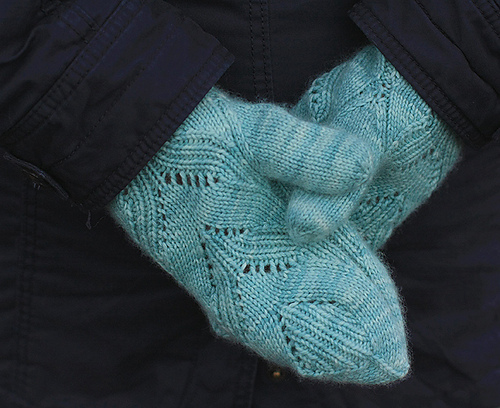 So do you have any last minute gift knitting planned? What’s your favourite gift knit, that you enjoy knitting and gets the best response? If you want more ideas for patterns in Nua you should check out the bundle I’ve put together here of other designers patterns that use Nua yarn. I always *want* to, but I only knit gifts every other year so as not to burn out completely. This is a Cranberry Bread year. Last year was cowls and I made so many I didn’t even gift them all and had some left over for new people this year! Anyway, I think if I did it every year, with the limited time I have for crafting these days, I would give it up entirely eventually and I don’t want to do that.